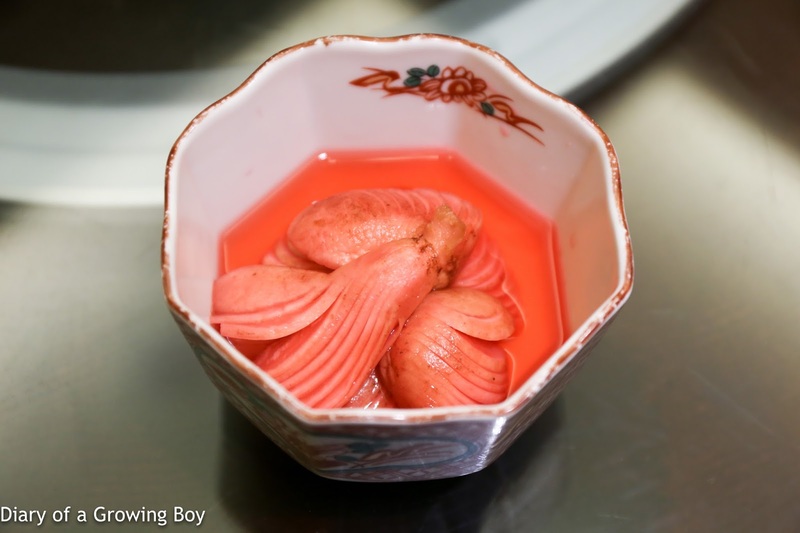 We've got some pickled radish (小蘿蔔) and sweet potato (地瓜). These were pretty good. 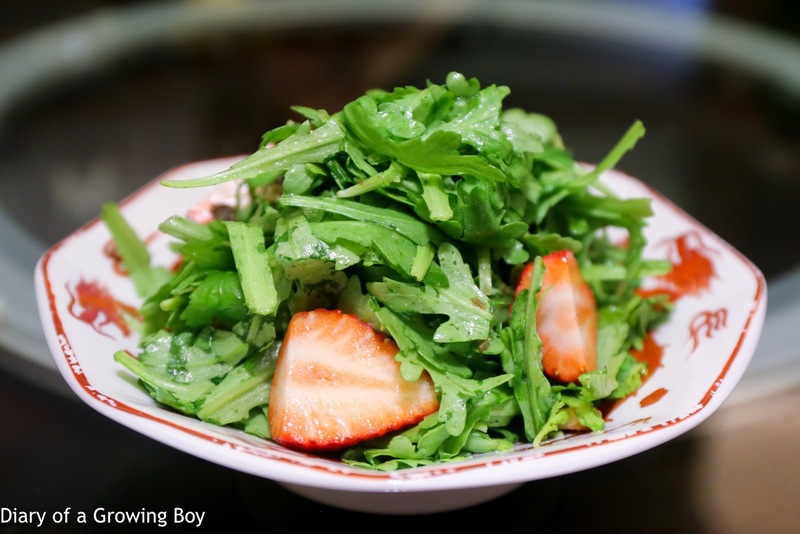 Chop suey greens with strawberry salad (春菊草莓沙拉) - I'd never heard chrysanthemum greens (春菊) called "chop suey greens" before, but what do I know? 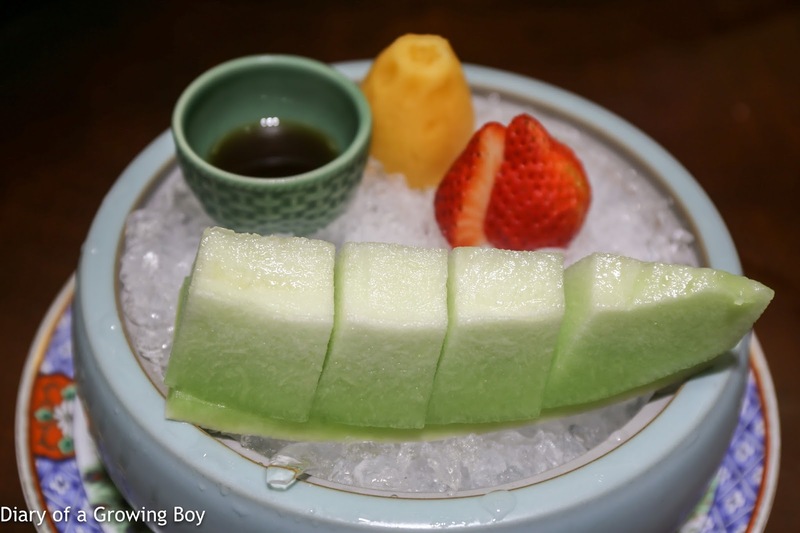 This was pretty good, with strips of bacon mixed in with the organic strawberries and chrysanthemum greens from Nanao (南澳). 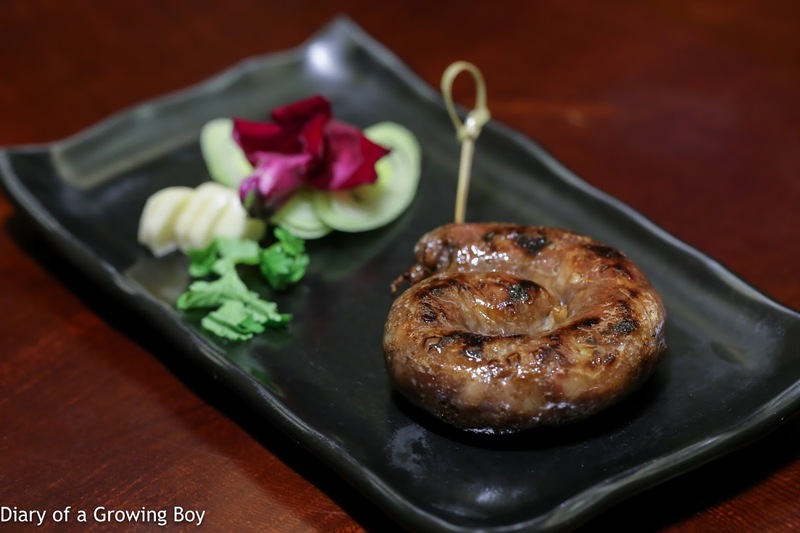 Wild mullet roe (現烤野生烏魚子) - these are always good, although I must admit that I don't remember tasting the Shaoxing wine (紹興酒) that they were brushed with before grilling. 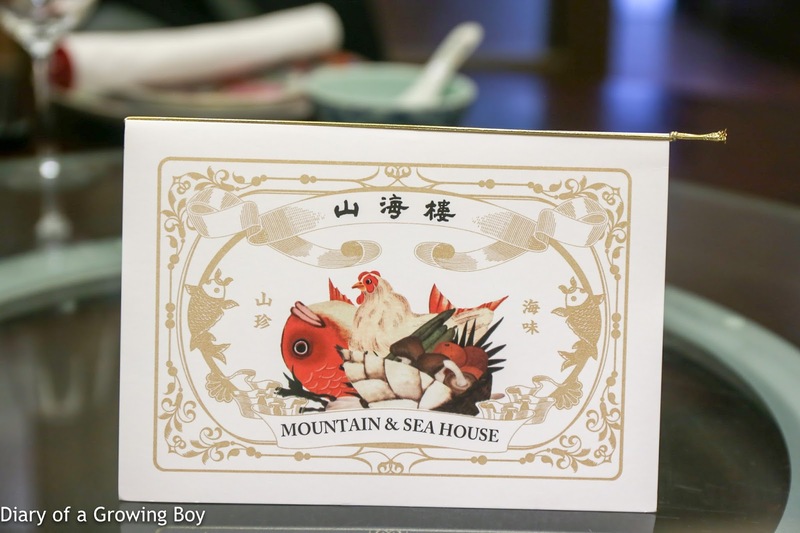 Mountain and Sea House deluxe platter (山海樓豪華拼盤) - in addition to the tasty free range chicken from Chiayi (嘉義) smoked with sugarcane, there were also some tender abalone. The abalones were flavored with a spice called tara (打那) by the Atayal (泰雅族) aborigines. 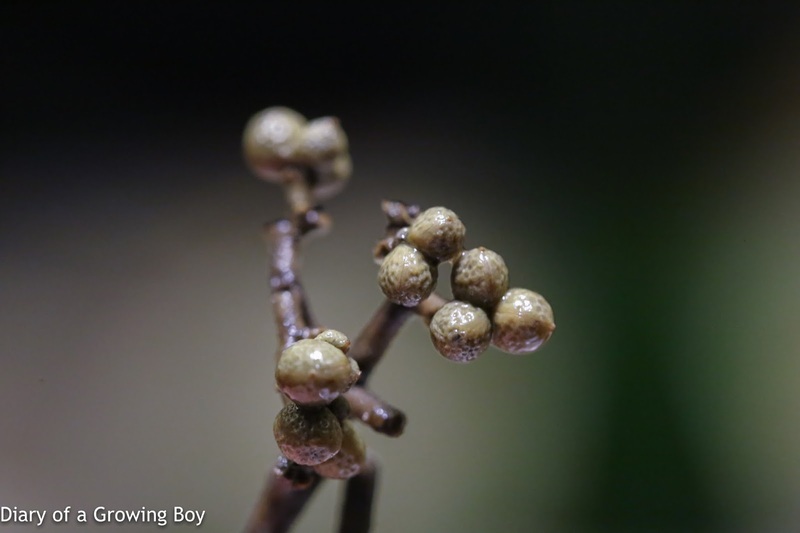 Like mountain litsea (馬告), these give up flavors similar to lemongrass and ginger, and a little floral. 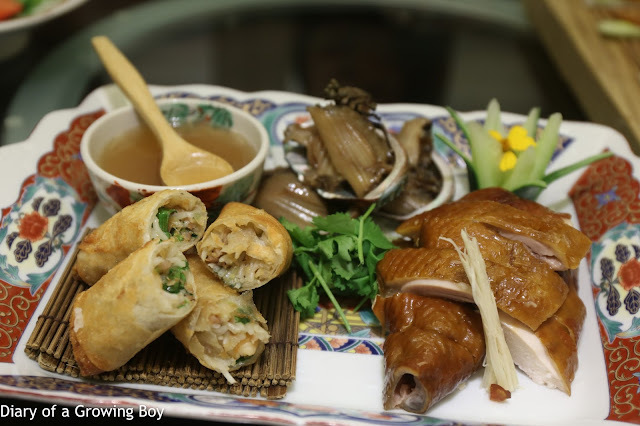 Spring rolls with flounder (扁魚春卷) - the stuffing included dried flounder flakes, minced prawn, and bean sprouts. Very, very tasty. 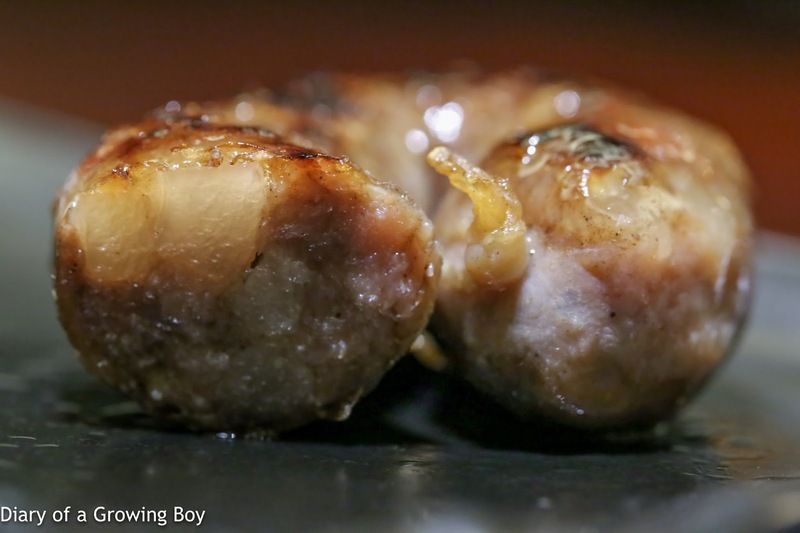 Additive-free Chinese sausage (手工現灌香腸) - this sausage just looked beautiful, and smelled real good, too! 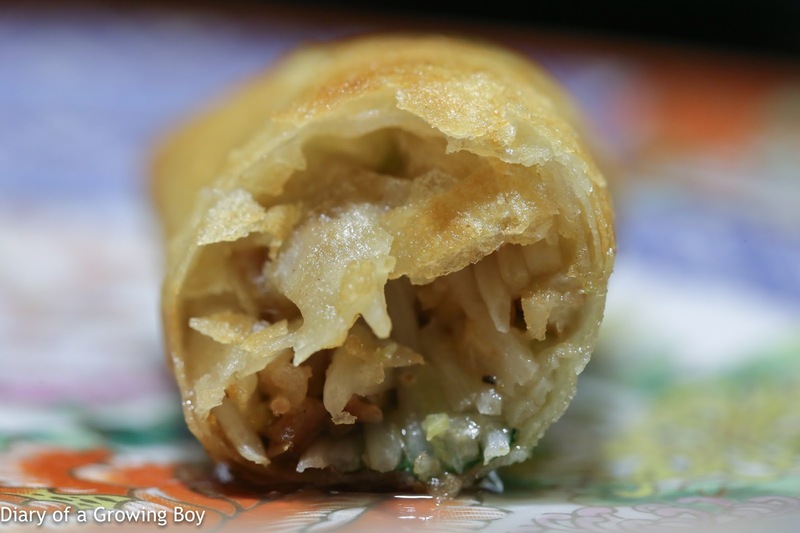 Very, very delicious with that fat... and not too hard in terms of texture. Apparently the price ain't cheap, I'd order it again in a heartbeat. 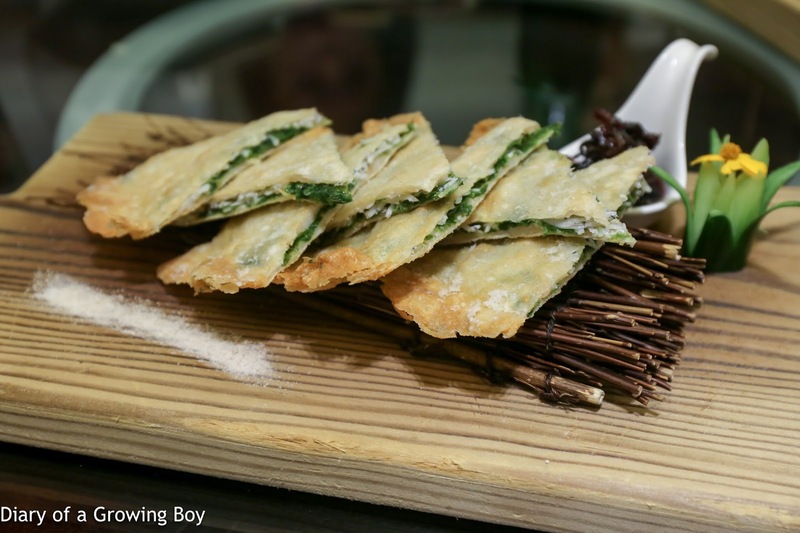 Whitebait with wild seaweed pancake (吻仔魚海菜煎餅) - this was pretty good, as I remembered last time. 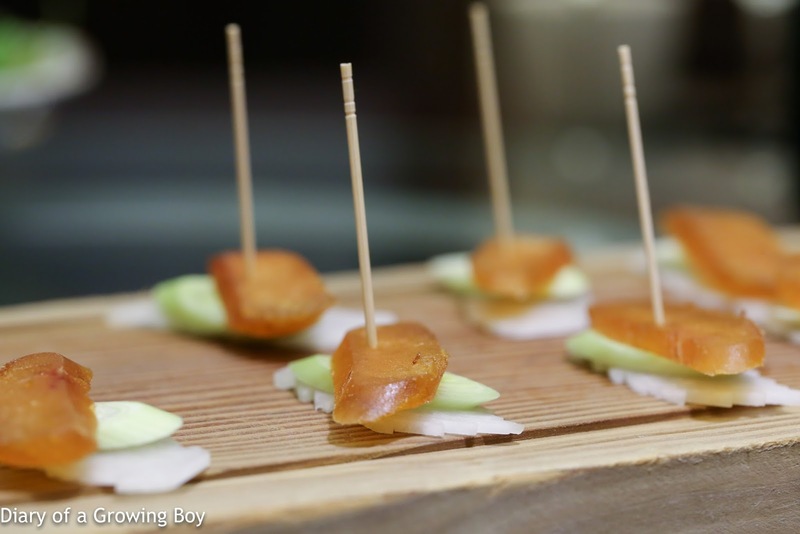 Not too over-seasoned to show off the natural flavors of the whitebait as well as the wild seaweed. There was also a little ball of tomato sorbet (樹番茄冰沙) to cleanse our palates. 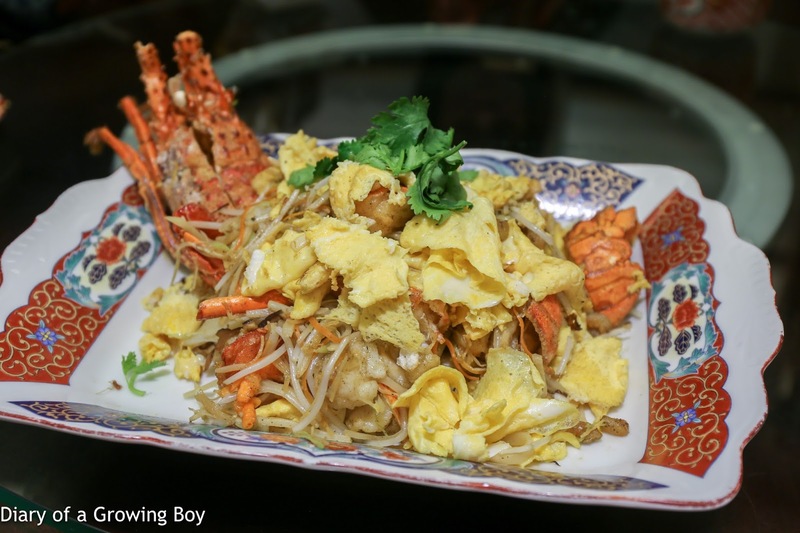 Pretty savory and delicious. Lobster stir-fried with duck egg (桂花炒龍蝦) - this was OK. Hello Kitty and I have been spoiled when it comes to lobster, so this didn't have the same impact as it might have on others. Not a bad effort, though. 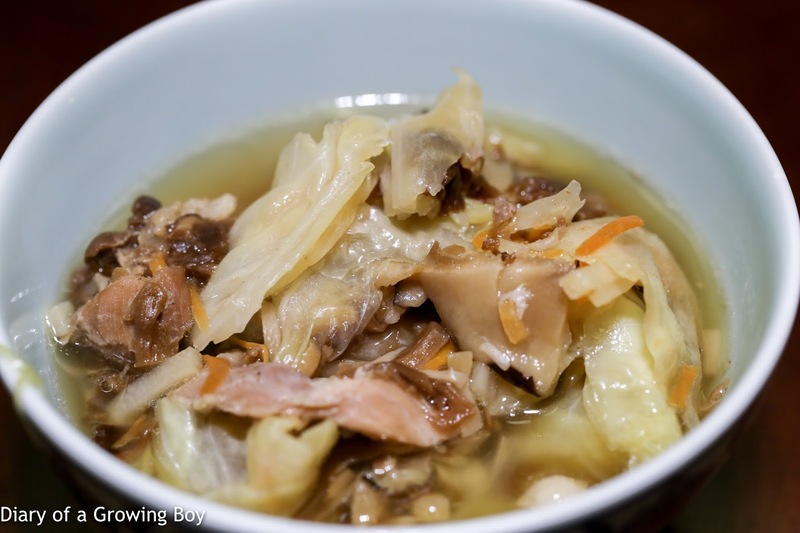 Cutting the cabbage open revealed shredded chicken as well as carrots, shiitake mushrooms, bamboo shoots, and some sort of crunchy pickled mustard. This was very, very nice - all the flavors were familiar, and the warm, soupy contents of the bowl just warmed one's stomach and immediately brought about happiness. Plain and simple comfort dish. 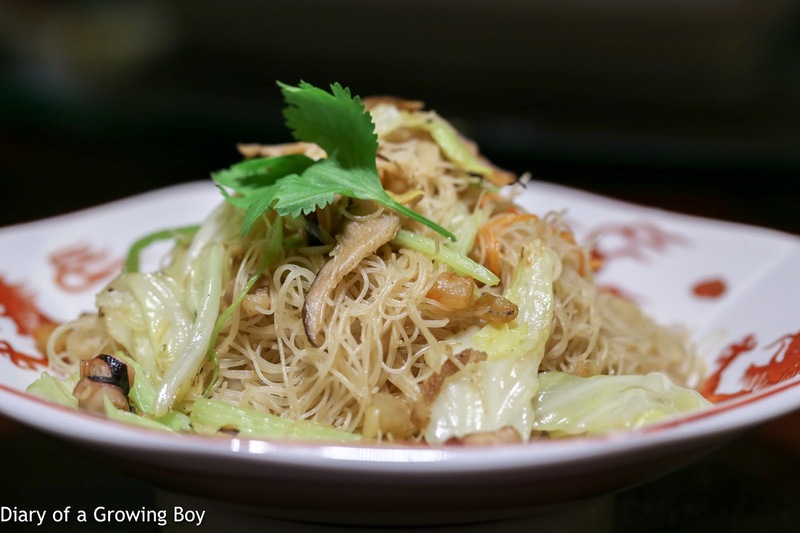 Stir-fried rice noodles (古早味炒米粉) - this classic Taiwanese dish was a little over-seasoned the last time I had it, leading me to accuse the restaurant of using MSG - an accusation that the restaurant denied. This time they dialled things down significantly, and neither the pepper nor the MSG were front-and-center. I was a much happier camper tonight. 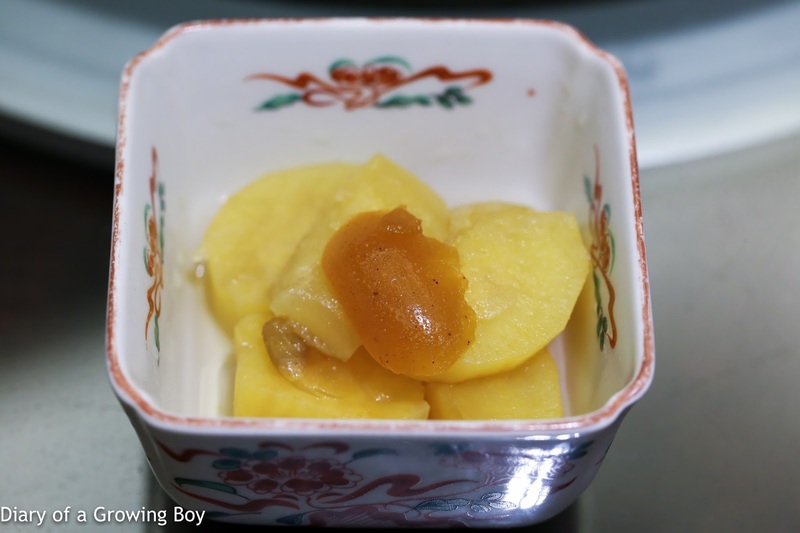 Taiwan organic fruit platter (季節水果) - always nice to end with some local fruits, including loquat (枇杷). 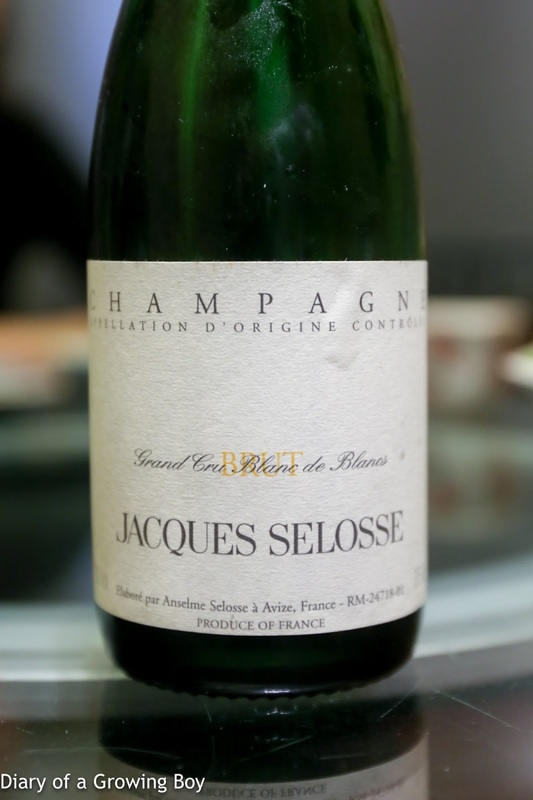 Jacques Selosse Blanc de Blancs, en demi-bouteille - released only weeks ago. Vintage unknown, but suspect to be 90s. Big nose of salty plum, marmalade, sweet grass, and straw. Mature and soooo beautiful both on the nose and the palate. There were almost no bubbles rising up in the glass. 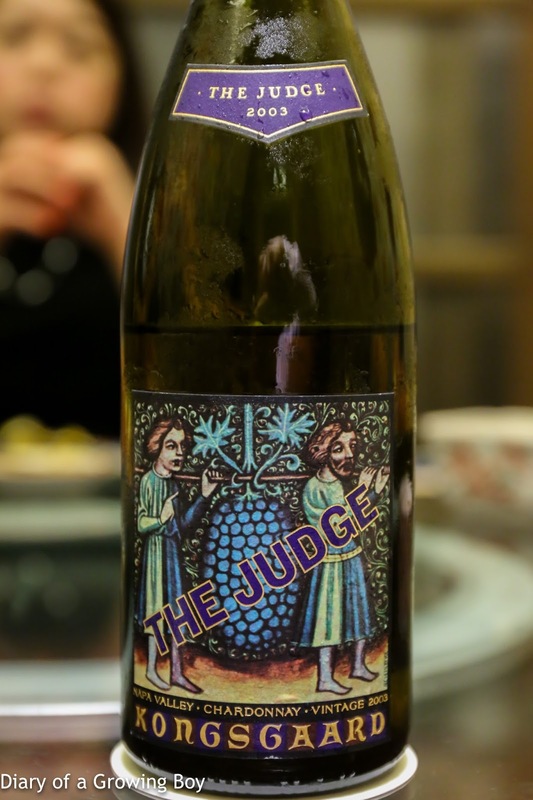 2003 Kongsgaard Chardonnay The Judge - opened for an hour prior to serving. 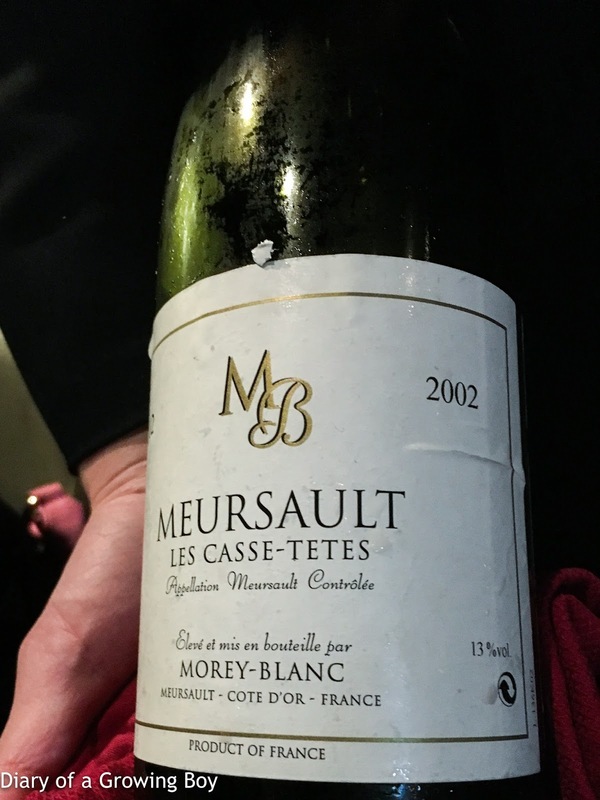 A little caramelised nose, showing mineral, grass, and straw notes. 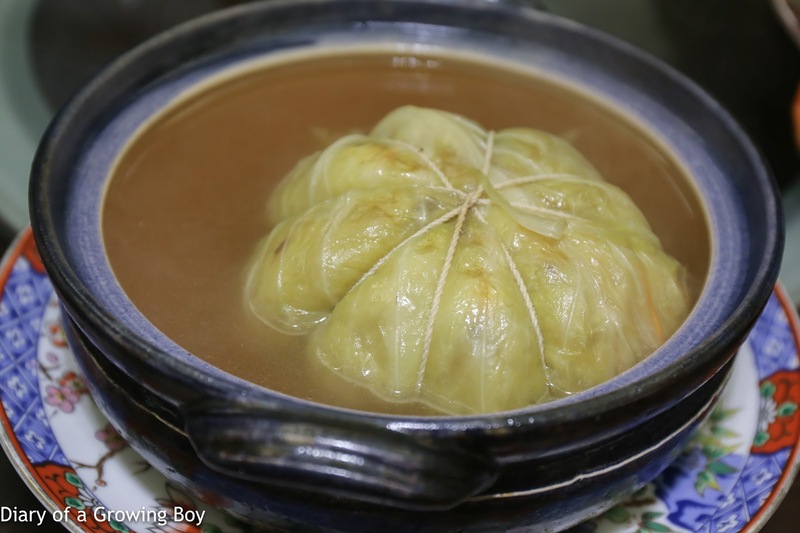 After 1½ hours the nose was really sweet and sugary, with a little lemon. Sweet on the palate and slightly sharp alcohol on the back end. Pretty decent dinner, although admittedly some of the very "classic" Taiwanese fare was missing from our menu. And no doubt we paid a significant premium for both the organic/sustainable ingredients as well as for the dining space. But I thought it was a good compromise between food, ambience, and wine service. The night was still young, so we adjourned to Domaine Wine Cellars (鈞太酒藏) for a little more vino. 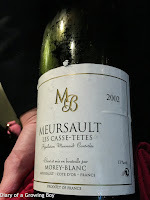 2002 Morey-Blanc Meursault Les Casse-Tetes - nose of toasty corn and almost a little pipi de chat... Ripe on the nose. Hello Kitty and I had been awake since early morning, so we decided to call it a night and bid farewell to our visitor. Hopefully we'll have a chance to catch up in Tokyo soon.